What is your favorite salad? If you say Cobb salad that is okay, but we really wanted you to say Caesar! Julius Caesar was just as smooth as the creamy salad dressing that dons the salad named after him. Well, we're not sure if the salad is named specifically after the toga wearing awesome dude, or something else. All we know is the croutons are totally the best part! Maybe you are channeling a Roman, or Greek god, or even better Elton John for your Halloween costume the Caesar Wig is the best way to do it. No worries, the hair is 100% synthetic, no cute animals or humans were harmed in making this beautiful head of hair. 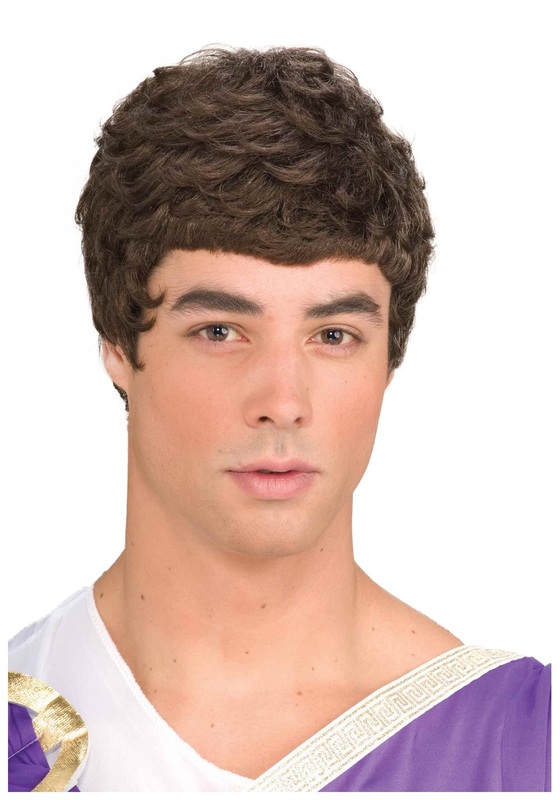 The style is short and brown hair with small curls, and the mesh net lining will make the Caesar Wig more comfortable to wear as you make the ladies swoon. All hail Caesar!